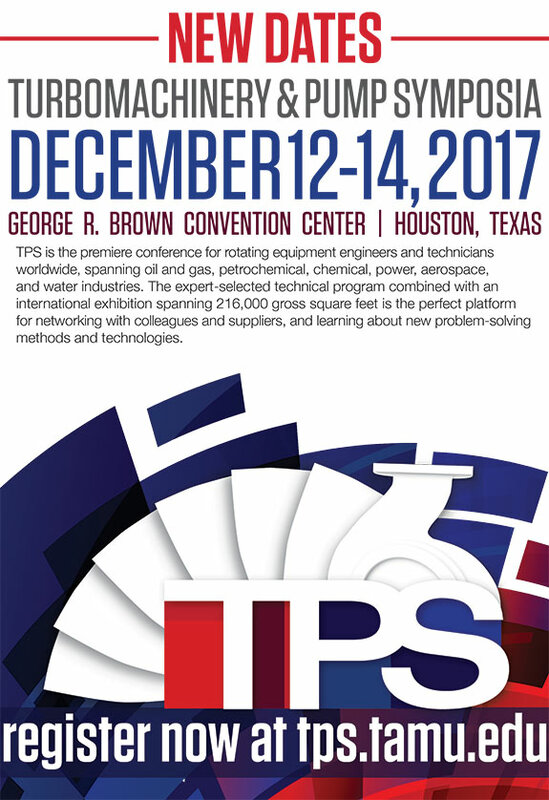 Due to Hurricane Harvey, Turbomachinery & Pump Symposia, TPS, has been rescheduled to 12 – 14 December 2017, with short courses being held on 11 December. TPS is a key industry event, offering a forum for the exchange of ideas between rotating equipment engineers and technicians worldwide. Now surpassing 45 years, TPS is known for its impact on turbomachinery, pump, oil and gas, petrochemical, power, aerospace, chemical and water industries through two pathways: a technical programme and exhibition.